At a certain point, every new business faces a tactical fork in the road: should it try to be all things to all people and spread the risk across multiple revenue streams? Or should it look to establish a foothold by dominating a niche? 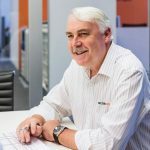 For Stephen Gillies, who had spent 15 years at engineering and infrastructure giant Downer Group, the right option was definitely the latter. Seeing a gap in a market dominated by a few major players to offer more personalised service in the road maintenance space, he steered his new company towards developing specialist expertise and having a focus on the best plants and equipment. Even with the promise of major long-term contracts on offer, Stephen knew that Roadworx needed a unique selling point. He likens the industry to the banking sector, where a handful of well-established major players dominate. “There was an opportunity to capture customers looking for something a little different. Having a large financial and operational capacity is always appreciated by customers, but sometimes they don’t get the service and customer care that they’re looking for. Stephen says that large market entrants have their advantages such as economies of scale, but they can easily become depersonalised. He believes a medium-sized business such as Roadworx can offer greater agility and responsiveness. With a smaller business like this, you’re pretty much doing hands-on work on a daily and weekly basis. An example of Stephen’s more direct involvement in his current role is how he purchases new equipment. While working as CEO at Downer, Stephen delegated other staff to trade shows with a list of equipment to inspect. Now, he is able to attend trade shows in Germany and France himself and run an experienced eye over potential new equipment. This attention to detail has become a unique selling point for Roadworx, which has, on several occasions, imported equipment that no other Australian company was using. Roadworx has made the decision to invest long-term in specific manufacturers, and Stephen says the benefits that flow from this are numerous. First, it is easier for staff to master its equipment as they aren’t constantly switching between different systems. It also means the Roadworx fleet has a visually consistent, easily recognisable look. Loyalty to major suppliers has meant strong relationships with manufacturers like Scania, who manufactured a truck specifically to meet Roadworx’s requirements. Using the best-quality equipment also increases the workers’ enjoyment of their work. “Employees generally value working with modern equipment and customers see the value in the offering as well. 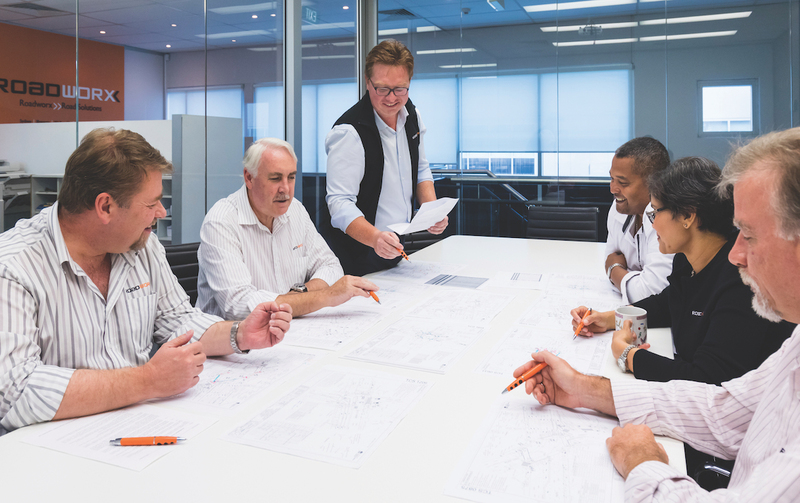 Roadworx has a reputation of having very good equipment and a focus of our training is getting staff to appreciate the plant equipment and appreciate quality in general. When considering his new venture, Stephen remembers thinking to himself that he had built up a business for the benefit of stockholders and the employees who benefited from the growth and profitability of the business, so maybe it was time to do something for himself. His new employees, who are enjoying working with the best equipment, and customers, relishing Roadworx’s more personal approach, must be glad he did. Stephen says Roadworx is not primarily an acquisitional company, but it has taken the opportunity for inorganic growth on occasion. It has acquired smaller companies that have expertise and contacts in municipal street sweeping and asphalting roads, complementing its existing experience in road construction and traffic management.